Capri passed the MOT today, fuel gauge was working fine on the way down, wasn't working on the return drive . Checked connections on the sender in case they dislodged something but all ok, don't want to remove dash if I don't have to. Anyone have any suggestions where to look, if it's fused, is anything else on same fuse? Thanks in advance, has been working fine for last few years. Last edited by Caprifan Rob on Thu Sep 27, 2018 7:49 am, edited 1 time in total. Great result with the MOT! 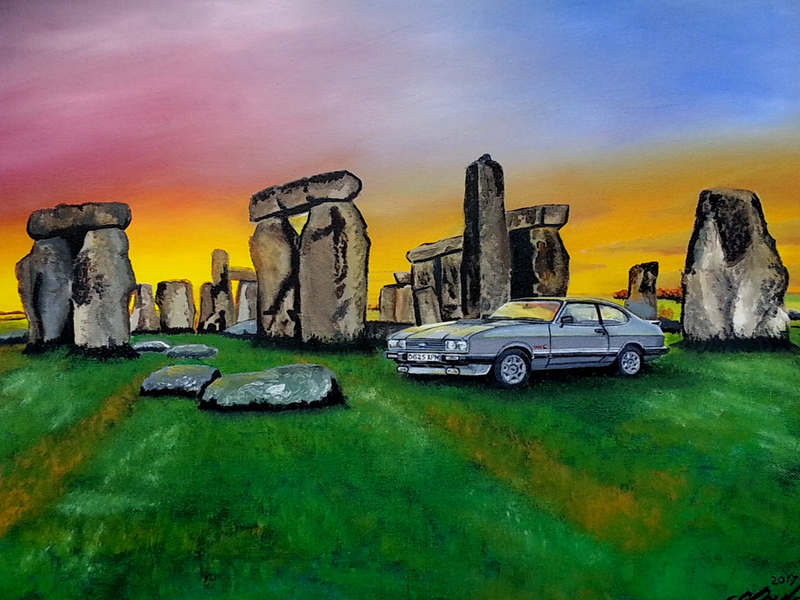 Obviously it's a foregone conclusion with a car that is as immaculate as yours. Which looks superb, by the way. The fuel gauge is on fuse 7, the same as the hazards, indicators and dash warning lights. The temp gauge also works off the same voltage regulator as the fuel gauge, so if the temp gauge is reading OK then the regulator will be working properly. The fault could be with the wiring coil on the part of the sender inside the tank. If you need one, I noticed that Martin is selling brand new repro senders on Ebay. Funny for it to just stop working with no warning. 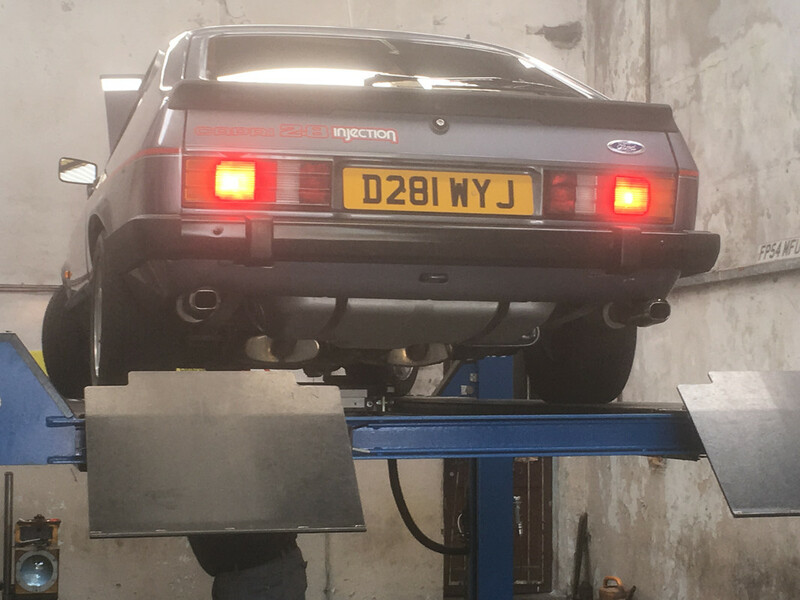 Glad to here your stunning Capri passed the mot with it up on the lift I wonder if they caught the lead down on the sender unit as Iam sure there should a earth lead down there on the tank end ? My first thought is the earth. Try connecting a good fresh earth to the sender to see if the gauge works. If it does then trace the proper lead back and clean the connection. I think it might be in the boot. A poor earth is a good shout.....when Rob mentioned that he had checked the connections, I assumed that included testing them with a multimeter. I should stop assuming! The gauge should move up to read FULL if the two wires at the sender are connected together. If they are corroded and need cutting back then a couple of bullet female connectors will do the job. nigecapri wrote: The gauge should move up to read FULL if the two wires at the sender are connected together. If they are corroded and need cutting back then a couple of bullet female connectors will do the job. Connected them together & gauge read full, put meter on sender & found no continuity. Bugger, I guess a new sender is required then, at least I now know what it is. Caprifan Rob wrote: I guess a new sender is required then, at least I now know what it is. It's a bit of a bummer that you need a new one, but we shoud at least be thankful that they are available to buy new. Don't forget that a repair might be possible. Just an update. Fitted the new sender unit today (a CCI unit, only one I could get) . Tested continuity before Fitting & I get a reading on the top 2/3 of its movement. Not having anything to compare it to, I fitted it as I've been running down the tank. No reading showed on gauge after fitting but tank was really low, filled it up & reading went all the way to .. 1/4 of a tank! Got a local meet I'm taking it to tomorrow, if nothing changes, I'll be emptying the tank & sending it back. Cost too much for it not to work properly. Has anyone else fitted one of these? I think the feed on this is meant to be 6 volts, governed by the regulator in the dash. Might be worth checking what reading you are getting. Peter-S wrote: I think the feed on this is meant to be 6 volts, governed by the regulator in the dash. Might be worth checking what reading you are getting. Cheers Peter, I'll try that when I get back from the meet today. It's supposed to be 5 Volts, so it sounds to me like the regulator is not working correctly. The low voltage you have will affect the correct operation of both the fuel and temperature gauges. The voltage regulator chip is cheap enough to buy, it's a 7805 that you need. Unfortunately, some of the photos appear to be missing, but at least the text is still there. Instead of riveting the heatsink back in position, I used a small brass nut and bolt (M2 or M2.5, something like that). Andrew 2.8i wrote: Hope that helps.